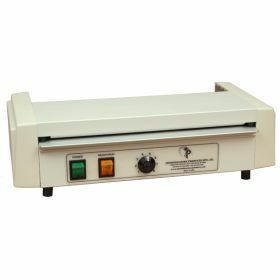 The most common size pouch laminator is usually between 4" and 13" although machines up to 44" are available. These machines use a lamination pouch that is usually sealed on one side. The inside of the pouch is coated with a heat-activated adhesive that sticks to the product your laminating as it runs through the machine for protection of your documents. 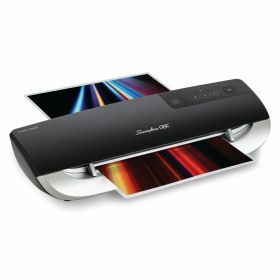 Order your Laminator today! 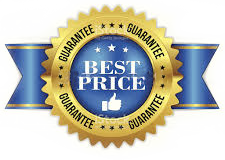 With our Guaranteed Lowest Pricing offer nobody saves you more money on Quality Pouch Laminators than Laminator.com. Quality Assurance Guaranty! Shop Online or Call 1-800-713-8879 Today! $4.50 Shipping is offered on all pouch laminator orders over $35.00. Laminating supplies are included in this special shipping offer! Shipping is Standard Ground Service and does not include Alaska, Hawaii and Canada. For a Discounted Shipping Quote for Alaska, Hawaii and Canada residents please call 1-800-713-8879. 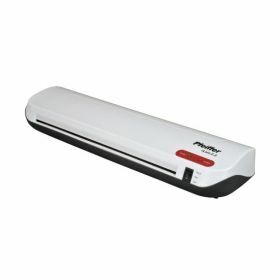 The PhotoLam Pro 18" Laminator is perfect for both Documents and Photos. Use any lamination pouch up to 18" wide and up to 7 mil in thickness. Designed for crystal clear lamination. 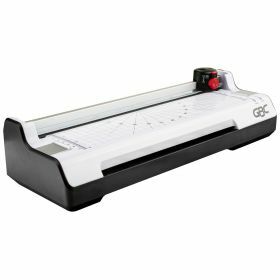 The GBC 3-in-1 is the ideal laminating solution for the home and classroom environments. Laminate, Trim and Corner Round with just one easy-to-use machine. Shop Online or Call Today! 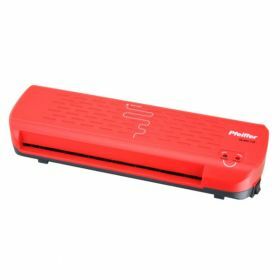 The Pfeiffer uLam 1.0 9" Pouch Laminator is the economical choice for small office, classroom, home/craft use. Pre-Order Sale - Ships 4/5/2019 - Reserve yours Today! 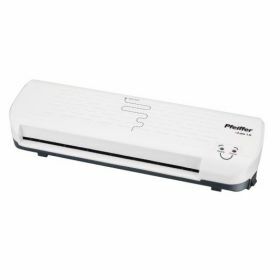 The Pfeiffer uLam 1.2 9" Pouch Laminator is the economical choice for small office, classroom, home/craft use. Pre-Order Sale - Ships 4/5/2019 - Reserve yours Today! 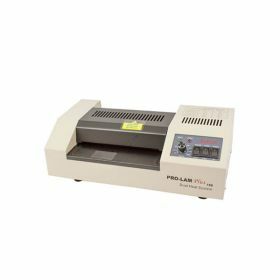 The Pfeiffer uLam 2.2 13" Pouch Laminator is the economical choice for small office, classroom, home/craft use. Pre-Order Sale - Ships 4/5/2019 - Reserve yours Today! The Swingline GBC Fusion 1000L 9" Pouch Laminator is a one-step lamination solution to your basic home and small office laminating needs. 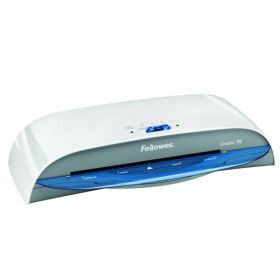 Laminates 5mil up to 4"x 6"
The Fellowes Lunar 95 is designed as a personal use pouch laminating machine for the home or small office. Laminates documents up to 9" in width. Perfect for light use lamination. 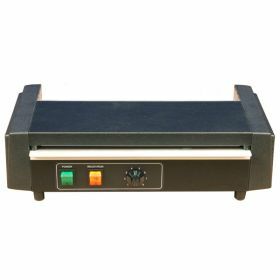 The Swingline GBC Fusion 1000L 12" Pouch Laminator is a one-step lamination solution to your basic home and small office laminating needs. 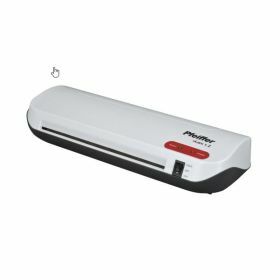 The Budget 13 Pro - 13" Laminator is the economical choice for small and medium office environments. The SM330 Pouch Laminator is the perfect pouch laminator for the medium laminating use office market. The 13" wide throat allows for the lamination of larger size documents. 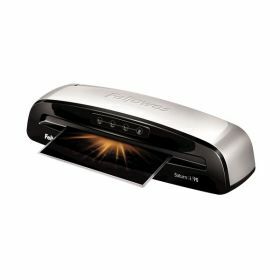 The PhotoLam Pro 13" Laminator is perfect for both Documents and Photos. Use any lamination pouch up to 13" wide and up to 10 mil in thickness. Designed for crystal clear lamination. 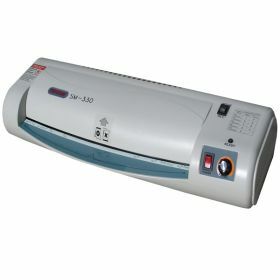 The Model 5500 ID Card Laminator is the pouch laminator used by professionals. 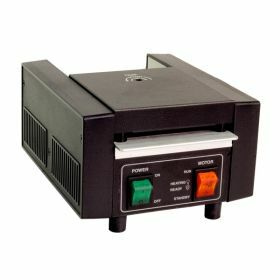 This is Our #1 Selling Heavy Duty ID Card Laminator and includes a Five Year Warranty. 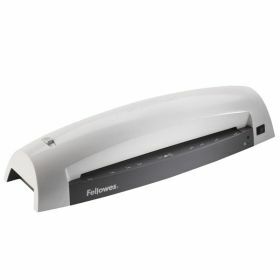 The Fellowes Cosmic 9" is a light volume economical pouch laminator ideal for the home and small office. 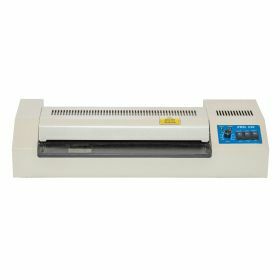 This laminator can laminate documents up to 9" in width. The Fellowes Saturn 3i 95 is a light volume unit ideal for the small office. 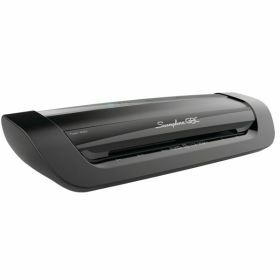 This laminator can laminate documents up to 9-1/2" wide. Several convenience features are included. 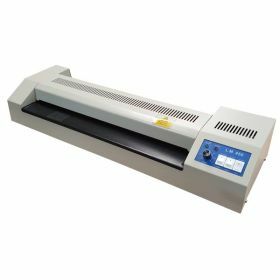 The Swingline GBC Fusion 1100L 9" Pouch Laminator is an affordable, easy-to-use, feature rich laminator ideal for light laminating needs. Many convenience features are included. 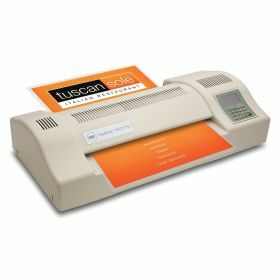 The Tamerica Tahsin TCC 230 Laminator in perfect for medium volume pouch laminating users. 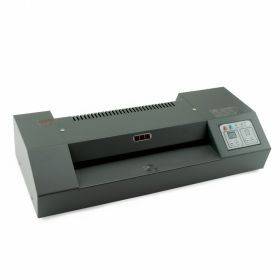 This unit can laminate documents up to 9" wide. 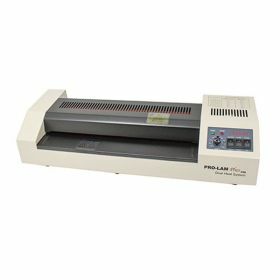 The Model 6020 10" is the pouch laminator chosen by laminating professionals. 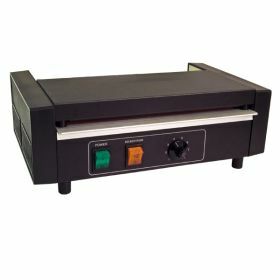 Our #1 Selling Heavy Duty 10" Laminator and has a Five Year Warranty. The Swingline GBC Fusion 3000L 12" Pouch Laminator is the ideal solution to mid-size office laminating needs. Both Hot and Cold Lamination. The Swingline GBC Fusion 3100L 12" Laminator is an efficient solution for mid-size office laminating needs. 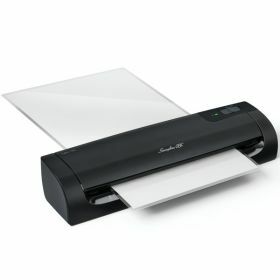 Numerous Features including 31"per minute lamination. 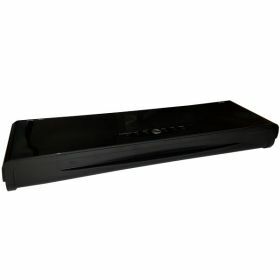 Exclusive Laminator.com Special Offer. 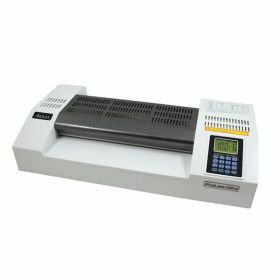 The Swingline GBC Fusion 5000L 12" Laminator is a high performance pouch laminator loaded with features. The Swingline GBC Fusion 5100L 12" Laminator is a high performance machine loaded with features that make it perfect for the professional laminating market..
New from GBC! The Swingline GBC Fusion Plus 6000L 12" Laminator is a high performance 4 roller pouch laminator loaded with features. New from GBC! The Swingline GBC Fusion Plus 7000L 12" Laminator is a high performance 6 roller pouch laminator loaded with features. 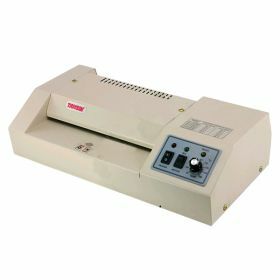 The Model 8020 Pro 12-9/16" Laminating Machine is Our #1 Selling Heavy Duty Pouch Laminating Machine. 33" per minute lamination + a 5 Year Warranty make this the best pouch laminating machine on the market. 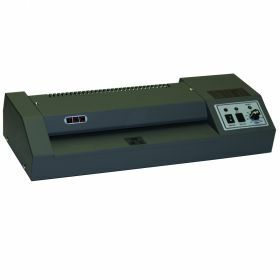 This Model 7020 Laminator is a reconditioned pouch laminating machine that offers the same 5 Year Warranty that you would have if you purchased it new. Included is an adjustable temperature dial. 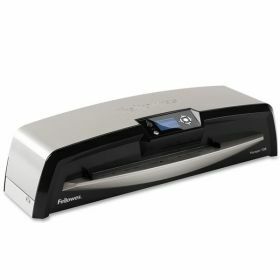 The Fellowes Cosmic 12.5" is a light volume economical pouch laminating machine ideal for the home and small office. 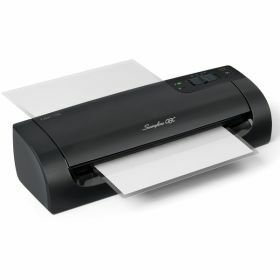 This laminator can laminate documents up to 12.5" in width. 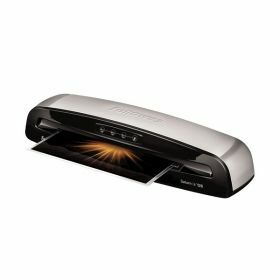 The Fellowes Saturn 3i 125 laminator is a light volume unit ideal for the small office. 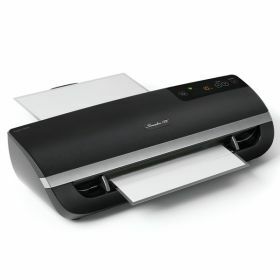 This machine can laminate documents up to 12.5" wide. Additional convenience features are included. 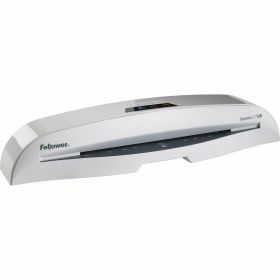 The Fellowes Venus VL-125 Pouch Laminating Machine has a 12.5" laminating width. 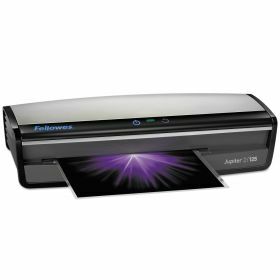 Numerous features include both Hot and Cold Laminating plus 19" per minute lamination. 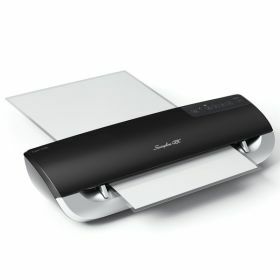 The Fellowes Jupiter JL-125 Pouch Laminator has a 12.5inch laminating width. 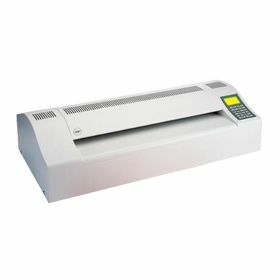 Numerous features include both Hot and Cold Lamination plus 19" per minute lamination. 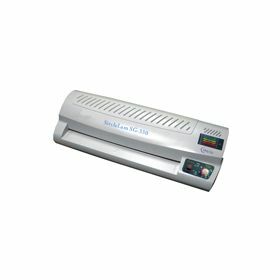 The TCC 330 Pouch Laminator is the perfect pouch laminator for the medium laminating use office market. The 13 inch throat allows for the lamination of letter, legal and menu size documents. The Akiles ProLam Plus 230 is a rugged 9" pouch laminator capable of laminating up to 21" per minute using up to a pouch 10mil in thickness. 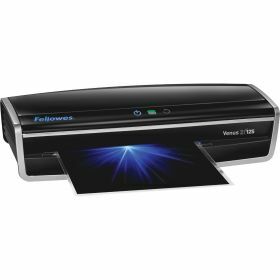 The Fellowes Voyager 125 12.5" Pouch Laminator is a high performance laminator that features AutoLam™ which self-adjusts the laminator to the optimal setting per document and pouch thickness. 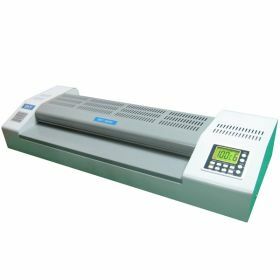 The SG-330 13" Pouch Laminator is an economical light to medium volume use pouch laminator with several features found on more expensive units. Laminate any size document up to 13" in width. 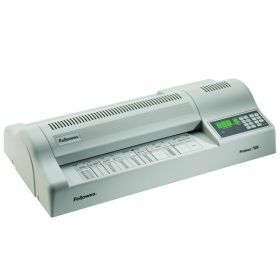 The Fellowes Proteus 125 - 12.5" Pouch Laminator is designed for the professional pouch laminator market. 6 rollers and a 41" per minute lamination speed are just a few of the features. 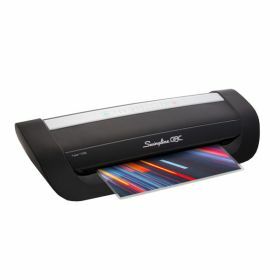 The Signature 330-6R is a true professional pouch laminator. The 6 roller design ensures perfect lamination. 51" per minute lamination. Compare to the Fellowes Proteus 125. $490 Less Expensive! 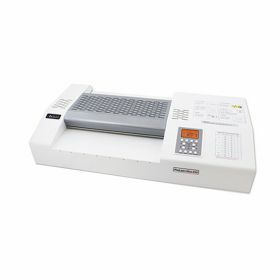 The TCC 6000 pouch laminator is perfect for large volume laminating users. 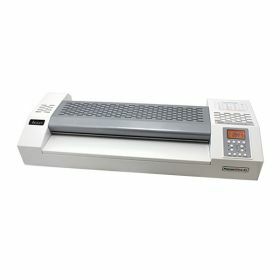 The 6 roller design with 38" per minute lamination make this a heavy duty pouch laminator. 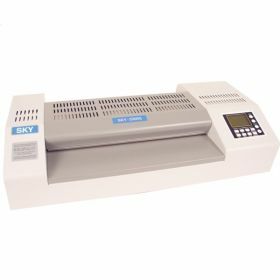 The Akiles ProLam Ultra is a professional grade 13" six roller pouch laminator that provides crystal clear, bubble free lamination every time. 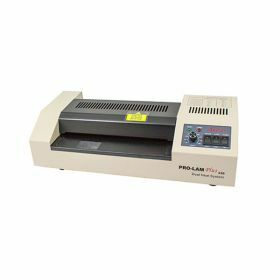 The Akiles ProLam Ultra-XL a a 10 roller professional grade pouch laminator. 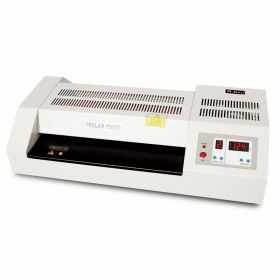 The GBC H600Pro 13 inch Pouch Laminator is another laminating machine designed for high volume lamination environments. 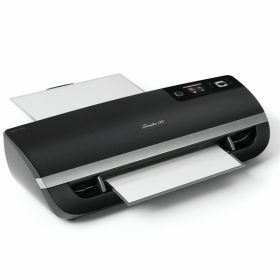 It is ideal for all size documents or photos up to 13" in width. 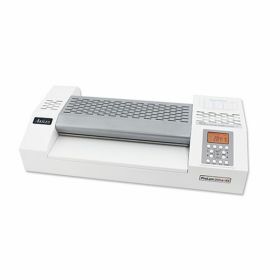 The Signature 480-6R is a true professional pouch laminator. The 6 roller design ensures perfect lamination. 51" per minute lamination. The GBC HeatSeal H700Pro Pouch Laminator is designed for the high volume laminating market with 18" wide, 60" per minute lamination and many other features. 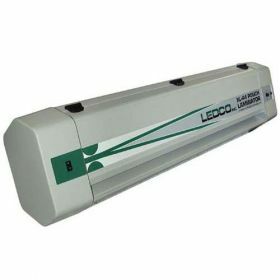 The Ledco XL-44 44" Pouch Laminator is ideal for business or office use where wide format laminating projects are a necessity. 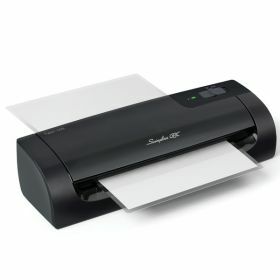 Capable of laminating, mounting or both.